Hack Games On Android – Best android games hacking apps & Tricks to get unlimited rewards, coins and lives. You might have heard of Hacking up the online accounts, Fb accounts, Gmail accounts etc but you may be wandering about what is hacking up the games.Yes! to be sure one thing that you need to know is that there are some free or paid games that require the users to complete such levels of the games so that they can get their bonus points or simply gems which further helps them to reach higher levels of the games.In hacking of the games, you can get access to these bonus points or gems and some other facilities in the game without even doing up any tasks in the game.There are some great apps that you can also use to hack you android games and hence reach up your best levels in the game easily.To check out these apps just read up this article that is given below. 1.GameCIH: This is one of the most popular and highly accurate and proficient Game hacking tool that ca be ever used. Using this tool anyone can easily change the score, coins, money etc of any of their game and hence they can reach up their desired levels of the game easily. The only thing that you will have to do for making this tool work on your mobile device is you will have to gain the root access, that means you have to root your Android device so that you can hack up the games using this tool. 2.Game Killer: It is the another great and advance tool that can be used on your Android device to hack up mostly any of the game. The working of this app is although different from the GameCIH app but it can do all those things that the GameCIH is capable of doing. You can easily change various aspects of your any android game and hence increase up the levels, scores etc. For making this work on your device you need to root your Android first. 3.Lucky Patcher: This is a great app that can be used to hack offline games on Android and therefore remove Ads, bypass premium permissions etc hence because of all those values I feel this app to be a must have app. The only drawback of this app is you cannot use it for online games but for offline games you can most probably alter anything inside using this single app. 4.Xmodgames: This app is available for both Android and iOS and this can be used efficiently for hacking most of the online as well as offline games. This app have been placed below in this list because of it’s low capabilities to hack highly secure games but it still manages to work on with many popular games. For using this app you will need to have a Rooted Android device or if you are using it on iOS then you may need to gain root access. 5.SB Game Hacker: If you are having root access on your Android device then this app can be used to modify, hack and change the various aspects of many games. This app has a great potential with which you can easily hack up the games and then increase/ decrease the levels, scores and much more. This app is also available for iOS devices hence you can also try it on any of that device. 6.Game Guardian:Amazing app with great interface and working type through which you can easily hack up the games and then modify their scores, coins and levels etc. 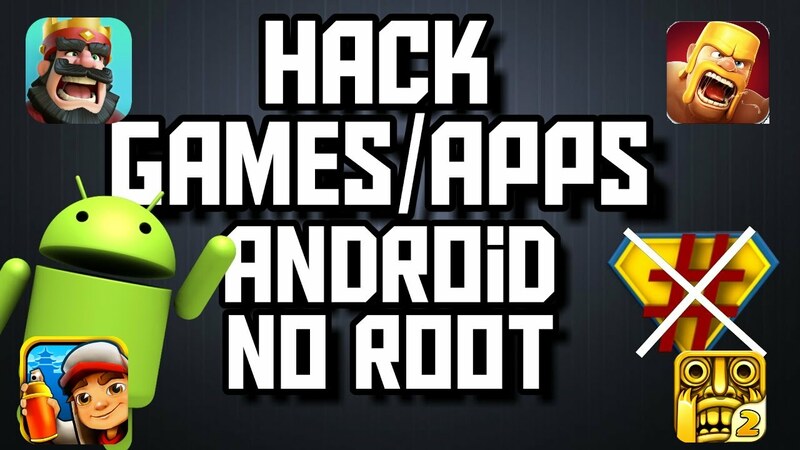 This could be a great alternative to the GameCIH app as it have a amazing set of tools with which you can hack many things of any game.Root access on your Android is a must before you can actually use this app on your Android device. 7.Cheat Engine: Reduce the difficulity of your android games with this app and hence make it easier to win it’s higher levels. Whether it is the case you wish to change game scores, coins and play methods you can all do with this amazing app.Just like other above apps you also need to have a root access on your Android device so as to make this app work. Conclusion:So, these are the best apps that you can use for hacking various games on your Android and also to boost up your game performance by doing some other things from these apps.You can either use up the apps that are compatible for hacking your particular game or else you can download up the one from the list and it will most probably hack up most android games easily.Go, and have a try on these apps and enjoy to hack up the games.